Our goal in treatment is to relieve patients’ pain and help them return to their normal activities. In most cases, we can achieve this without surgery. Many people experiencing low back pain, neck pain or discomfort from conditions such as sciatica, radiculopathy and herniated discs (slipped discs) are helped by conservative treatments. These may include back and neck exercises, other physical therapy protocols and medications. 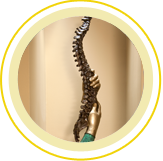 In chronic and more complex cases, we sometimes suggest spinal injections, blocks and other in-office procedures – such as kyphoplasty to relieve pain from spinal fractures due to osteoporosis. Our physiatrist, who has advanced training in non-operative treatment of back and neck pain, works closely with patients to help them overcome pain and restore function. up by shoulder straps. Like the corsets of old, these corsets lace from the back, side, or front. There are metal stays that provide the appropriate rigidity and support for the back. Hyperextension Brace – designed to prevent excessive bending. Hyperextension braces are often prescribed to treat frontal compression fractures that have occurred where the thoracic and lumbar areas of the spine meet. They can also be used after surgery for spinal fusion, taking pressure off the anterior or front of the thoracic vertebrae by restricting flexion (bending) of the thoracic and lumbar spine. Hyperextension braces have a front rectangular metal frame that puts pressure over the upper sternum or breast bone and the pubic bone, allowing the spine to extend. The brace also applies pressure over the T-10 level (the tenth vertebra in your thoracic spine). The hyperextension brace provides what is called “three-point stabilization” to the spine through a front abdominal pad, a chest pad, and a rear pad at the level of the fracture. The most common types of hyperextension braces are Knight Taylor and Jewett. Lifting Belt – designed to reduce low back strain and muscle fatigue that can occur when you are lifting heavy objects. It circles around your waist covering the lumbar region of your spine and closes in the front. Lifting belts are usually made of cloth or canvas and do not have stays. Some models also have lordosis pads to contour to the curvature of your spine. Exercise is vital to recovery and to maintaining a healthy spine. Consider it part of long-term health management and risk reduction. Regular exercise is the most basic way to combat back and neck problems. However, if you already have an injury or damage to your spine, talk to your doctor or physical therapist (PT) before you start an exercise routine, to make sure the exercises you choose are effective and safe for your particular case. Why exercise? Scientific studies show that people who exercise regularly have far fewer problems with their spine. Exercise helps strengthen the muscles in your back that connect to your spine. Exercise can reduce your risk of falls and injuries. It can also strengthen your abdomen (your belly), arms, and legs, which reduces back strain. Stretching reduces risk of muscle spasms. In addition, weight bearing exercises help prevent loss of bone mass caused by osteoporosis, reducing your risk of fractures. Aerobic exercise, the type that gets your heart pumping and pulse rate up, has been shown to be a good pain reliever as well. The natural chemicals of the body that combat pain – called endorphins (en-dor-fins) – are released during exercise and actually reduce your pain. Flexibility – Exercises that increase flexibility help to reduce pain and make it easier to keep your spine in a healthy position. Flexibility exercises are helpful for establishing safe movement. Tight muscles cause imbalance in spinal movements, which can make it easier to injure your spine. Gentle stretching increases flexibility, eases pain, and reduces the chance of re-injury. Stabilization – “Core” muscles are the muscles located closer to the center of your body and act as stabilizers. These key muscles are trained to help you position your spine safely and to hold your spine steady as you perform routine activities. These muscles form a stable platform, which allows you to move your arms and legs with precision. If the stabilizers are not doing their job, your spine may be overstressed by daily activities. Coordination – Strong muscles need to be coordinated. As the strength of the spinal muscles increase, it becomes important to train these muscles to work together. Learning any physical activity takes practice. Muscles must be trained so that the physical activity is under control. Spine muscles that are trained to control safe movement help reduce the chance of re-injury. If you decide you want some extra conditioning, always check with your doctor or therapist before beginning a program on your own. It is important that you choose an aerobic activity you enjoy. This will help you stick with it, so you reap the long-term benefits that come with a well-rounded exercise program. Non-narcotic pain medication, or “analgesics” (the term analgesics means “pain relievers”) treat pain at the point of injury. They are used for treating mild to moderate chronic pain. Non-narcotic analgesics that require a prescription from the doctor include NSAIDs such as carprofen, fenoprofen, ketoprofen, and sulindac. To reduce the chance of side effects when taking non-narcotic prescription medications, do not lie down for 15 to 30 minutes after taking the medication, and when you are outside, avoid direct sunlight, and wear protective clothing and sun block. Avoid using these medications if you are pregnant, or have recurrent ulcers or liver problems. Do not take sleeping aids or antidepressants when you are taking a narcotic pain medication. Use a fiber laxative or stool softener to treat constipation. Muscle relaxants can help relieve pain from muscle spasms. However, they are not completely effective and can cause drowsiness and depression. Muscle relaxants should typically only be taken for three or four days. Long-term use is not recommended. Back pain is a common symptom of depression. Antidepressants can relieve emotional stress that leads to symptoms of back pain. An important fact to note – the same chemical reactions in the nerve cells that trigger depression also control the pain pathways in the brain. Some antidepressant medications are believed to reduce pain by affecting this chemical reaction in the nerve cells. Some types of antidepressants also make good sleeping medications. If you are having trouble sleeping due to your back pain, your doctor may prescribe an antidepressant to help you get back to a normal sleep routine. Antidepressants can have several side effects such as drowsiness, loss of appetite, constipation, dry mouth, and fatigue. An ESI can be used to relieve the pain of stenosis and irritated nerve roots, as well as to decrease inflammation. 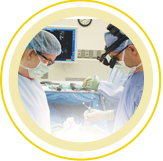 Injections can also help reduce swelling from a bulging or herniated disc. The steroid injections are a combination of cortisone (a powerful anti-inflammatory medication) and a local anesthetic that are given through the back into the space between the facet joints. Epidural steroid injections are not always successful in relieving symptoms of inflammation. They are used only when other conservative treatments have failed. If physical therapy is recommended, your physical therapist (PT) will start by asking you questions about your spine condition. You may be asked questions about when your pain started, where you hurt, and how your symptoms affect your daily activities. Your answers will help your PT focus on the source of your problem and what he or she will need to do to help relieve it. You PT will then likely do an exam that may include some or all of the following checks. Posture – Imbalances in the position of your spine can put pressure on sore joints, nerves, and muscles. Improving your posture can often make a big difference in relieving pain. Range of motion (ROM) – Measurements are taken of how far you can move in different directions. Your ROM is recorded to compare how much improvement you are making with each treatment. Nerve Tests – Your PT may check your reflexes, sensation, and strength. The results can help determine which area of the spine is causing problems and the types of treatment that will be best for you. Ergonomics – Ergonomics involves where and how you do your work or hobby activities. By understanding your ergonomics, your PT can learn whether the way you do your activities may be making your pain worse. Sometimes even simple corrections can make a big difference in easing spine problems. Palpation – Your PT will feel the soft tissues around your spine to check for changes in temperature or texture, which may indicate that you have inflammation or nerve irritation. Palpation also checks whether there are tender points or spasms in the muscles near the spine. Your PT will evaluate your answers and your exam results to decide the best way to help you. He or she will then write a plan of care, which lists the treatments to be used and the goals that you and your PT decide on to do your daily activities safely and with the least amount of discomfort. The plan also includes a prognosis, which is your PT’s idea of how well the treatments will work and how long you will need therapy in order to get the most benefit. Rest – Resting painful joints and muscles helps calm soreness, giving your spine time to heal. If you are having pain with an activity or movement, it should be a signal that there is still irritation going on. You should try to avoid all movements and activities that increase the pain. In the early stages of your therapy, your doctor or PT may have you wear a brace to limit movement. Specific Rest – Specific rest allows safe movement of the joints and muscles on either side of a painful area while protecting the sore spot. If a brace was prescribed, you may be instructed to take it off a few times each day so you can do some gentle and controlled exercises. Positioning – Your PT will help you find positions for your spine that are most comfortable while sleeping or resting. He or she may also suggest positions to reduce stress on your spine while you are at work. Ice – Ice makes blood vessels constrict or get smaller, which decreases the blood flow. This helps control inflammation, muscle spasm, and pain. Heat – Heat makes blood vessels dilate or get larger, which increases the blood flow. This helps flush away chemicals that cause pain, and also helps bring in healing nutrients and oxygen. Ultrasound – Ultrasound uses high-frequency sound waves to reach sore muscles and other tissues that are over two inches below the surface of your skin. As the sound waves pass through your body, they vibrate molecules causing friction and warmth. This heating effect helps flush the sore area and brings in a new supply of blood that is rich in nutrients and oxygen. Electrical Stimulation – Electrical stimulation gently stimulates nerves as the current passes through pads applied on the skin. Some people say it feels like a massage on their skin. Electrical stimulation can ease pain by sending impulses to your brain that are felt instead of pain. Once the pain eases, muscles begin to relax, letting you move and exercise with less discomfort. Soft Tissue Massage – PTs are trained in many different forms of soft tissue massage. Massage has been shown to reduce pain and spasm by helping muscles relax, by bringing in a fresh supply of oxygen and nutrient-rich blood, and by flushing the area of chemical irritants that come from inflammation. Soft tissue massage can help tight muscles relax, getting them back to a normal length. This will help you begin to move with less pain and greater ease. Joint Mobilization – Your PT may apply changing pressures and movements to your joints to help lubricate joint surfaces. This will ease stiffness and help you begin moving with less pain. As your pain decreases, more vigorous pressures and movements may be used to lengthen tissues around the joint in order to restore better movement in your spine. Traction – Sore joints and muscles often feel better when traction (pull) is used. PTs apply traction with their hands or with a traction machine. There are also traction devices that you can use at home. The amount of pull that is needed will depend on your condition. A gentle on/off pressure may be better early on to help control arthritis pain. More vigorous traction can help take away pain if a spinal joint is mildly sore or tight. Posture – Healthy posture keeps your spine in safe alignment, reducing strain on the joints and soft tissues around your spine. The time and effort you take to use good posture are vital to spine care and will help to prevent future spine problems. As you regain strength and control, proper posture and body alignment will be easier to remember and apply with all your activities. Keep your spine stable and aligned. Do not twist or pivot with your feet. Ergonomics – Ergonomics looks at the way people do an activity. It is possible that even minor changes in the way you do your work or hobby activities could keep your pain and symptoms in check, while protecting your spine from further injury. Ergonomics doesn’t usually involve expensive changes. Even minor adjustments in the way you do your activities can make a huge difference in easing your pain and preventing further problems. Once your pain is controlled, your range of motion has improved, and your strength is returning, you will be able to continue your physical therapy on your own at home. Your PT will review some of the ideas listed above to help take care of any soreness at home. You will be given instructions to help you keep working on your range of motion and strength. Before you are done with therapy, more measurements may be taken to see how well you are doing now compared to when you first started therapy. Also known as facet blocks, facet joint injections are useful if your facet joints are causing pain—as they are in spondylosis. The spinal facet joints help you move easily, plus they stabilize your spine. Inflammation of the facet joints caused by spondylosis can cause pain. A facet joint injection will numb the joint and can reduce your pain. This is one of the most common injections. It’s especially effective for low back pain caused by a herniated disc, another spinal condition that can develop because of spondylosis. An epidural steroid injection (ESI) targets the epidural space, which is the space surrounding the membrane that covers the spine and nerve roots. Nerves travel through the epidural space and then branch out to other parts of your body, such as your legs. If a nerve root is compressed (pinched) in the epidural space, you can have pain that travels down your back and into your legs (commonly called sciatica, although the technical medical term is radiculopathy). An epidural steroid injection sends steroids—which are very strong anti-inflammatories—right to the nerve root that’s inflamed. It usually takes 2-3 days for the epidural steroid injection to take full effect. An epidural steroid injection is a pain management therapy, so it’s best to have a well-trained pain management specialist do the injection. You’ll probably need 2-3 injections; generally, you shouldn’t have more than that because of the potential side effects of the steroids.